The manufacturer of this product provides an Organic natural product and donates to charitable organizations which are positive and very encouraging. This Eminence Organic Skin Care Marine Flower Peptide Eye Cream review examines to the effectiveness of the product as well as the benefit to the consumer. The ultimate goal of this eye cream is to eliminate the appearance of dark circles, wrinkles, and puffiness for the delicate eye area. It is suitable for day and night usage and might reduce the signs of aging. Smart Collagen Complex contains minerals, amino acids, and botanicals. It is used to produce significantly smoother skin with the appearance of fewer fines lines and wrinkles. Botanical Peptides is used to reverse the signs of fine lines and wrinkles. Red Algae Extract is nutrient rich and contains vitamins, minerals, and amino acids. Used to reverse for the visible signs of aging. Botanical Hyaluronic Acid protects the skin against (transepidermal) water loss, as well as smooths and plumps the skin. 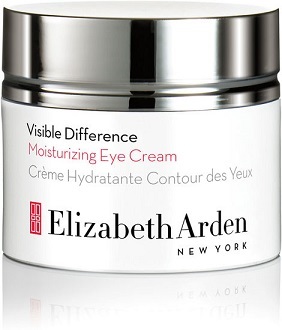 Helps to maintain long-lasting hydration and minimize the appearance of fine lines and wrinkles. The list of ingredients above targets the wrinkles and the appearance thereof. Additional ingredients should be added to provide optimal benefits such as deep penetration (Synergistic herbal fruit blend), provide for daily use (Passionflower and Alpenrose) and contain rich antioxidant algae and enzymes for conditioning and protecting the skin from free radicals that cause premature aging. Clinically proven ingredients should contain 10% active ingredients with a minimum of 5 patented. It is recommended to apply the cream to the entire eye area twice daily and to pat gently with fingertips until fully absorbed. The cream should be left on. The instructions could be more specific, how much should be used, should the cream be applied on a clean skin, and should it be applied in the morning and in the evening? 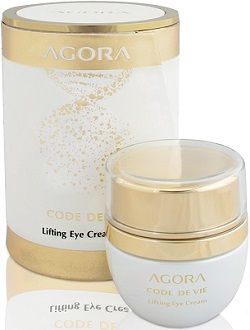 The price of this eye cream is $96.00 for a 1.05 0z pump bottle. The item may be purchased from various third-party retailers as well as the manufacturer’s online store. One of the retailers does offer a gift wrap option. The manufacturer offers a 30-day money back guarantee on unopened items less $5.99 for a prepaid shipping label. If the item has been opened an additional 8% handling fee will be charged. The manufacturer of this product provides an Organic natural product and donates to charitable organizations which are positive and very encouraging. The negative findings in this review are that clinically proven ingredients are lacking, the directions should be more specific and the price of this product is extremely high which will not enable most users to afford this product. 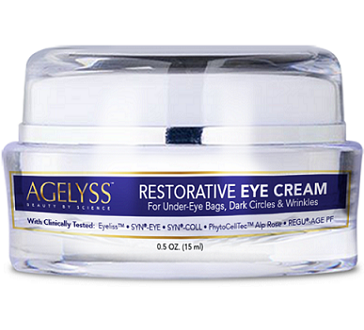 Agelyss Restorative Eye Cream Review: Does It Work?